Netflix and Showcase announced today the start of production on the new original Netflix sci-fi series, Travelers. Shooting on location in Vancouver, the time-traveling sci-fi drama is produced by Peacock Alley Entertainment Inc., in association with Showcase and Netflix. Hundreds of years from now, the last surviving humans discover the means of sending consciousness back through time, directly into people in the 21st century. These “travelers” assume the lives of seemingly random people, while secretly working as teams to perform missions in order to save humanity from a terrible future. These travelers are: FBI Special Agent Grant MacLaren (Eric McCormack), the team’s leader; Marcy (Mackenzie Porter), a young, intellectually disabled woman in the care of her social worker, David (Patrick Gilmore); Trevor (Jared Paul Abrahamson), a high school quarterback; Carly (Nesta Marlee Cooper), a single mom in an abusive relationship; and Philip (Reilly Dolman), a heroin-addicted college student. Armed only with their knowledge of history and an archive of social media profiles, the travelers discover that 21st century lives and relationships are as much a challenge as their high-stakes missions. 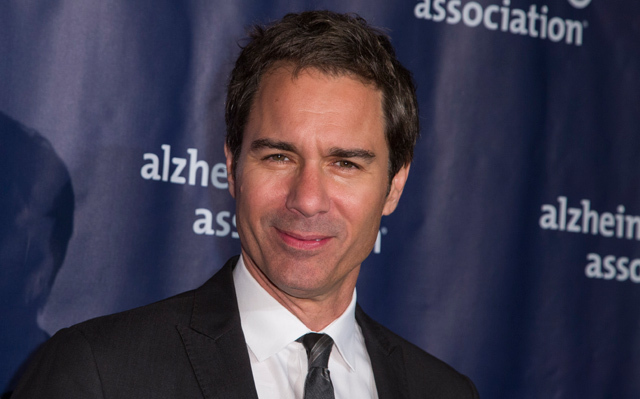 “My old friend Brad Wright has created a fantastic, complex story with some very rich and complicated characters, and I’m awfully happy to be one of them,” said Eric McCormack. Are you looking forward to the Netflix sci-fi series? Let us know in the comments below!